Sable is a coat colour variant in which the expression of eumelanin is partially inhibited. The typical markings are a pale mask and a dark blanket. A mutation at the EH-locus, located between E and e, is responsible for this phenotype. The exact trait is not known yet. Additionally, the A- and K-locus might be involved in the occurrence of this coat colour. 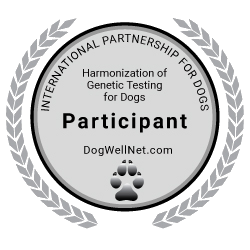 A genetic test is only available for American and English Cocker Spaniel.